Leslie Platner holds a Bachelor of Science degree in Nursing and worked as an RN in medical/surgical and intensive care units. She loved the science of nursing, caring for patients, and understanding the physiology of what was happening in the body. 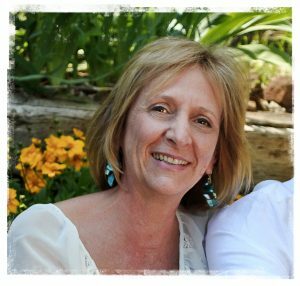 Leslie began studying homeopathy after she experienced a miraculous healing on many levels. As an RN she had been very skeptical of homeopathy, but in desperation over a medical issue that was not treatable traditionally, she decided to try it. She became convinced of its efficacy as "vibrational" or "informational" medicine, and as a holistic healing method addressing the person as a whole - mentally, emotionally, and physically. She attended Pacific Academy of Homeopathic Medicine, and became a certified homeopath. Leslie has also mastered other vibrational, energetic and quantum healing techniques, including Life Force Healing, and Matrix Energetics. as well as Reiki, Regeneration Healing, Breath Work, Angelic Healing, and Emotional Release Processing. Leslie combines all of her training in a unique way for each client. Her greatest joy is to see her clients - men, women, and children - experience greater vitality, happiness and health!